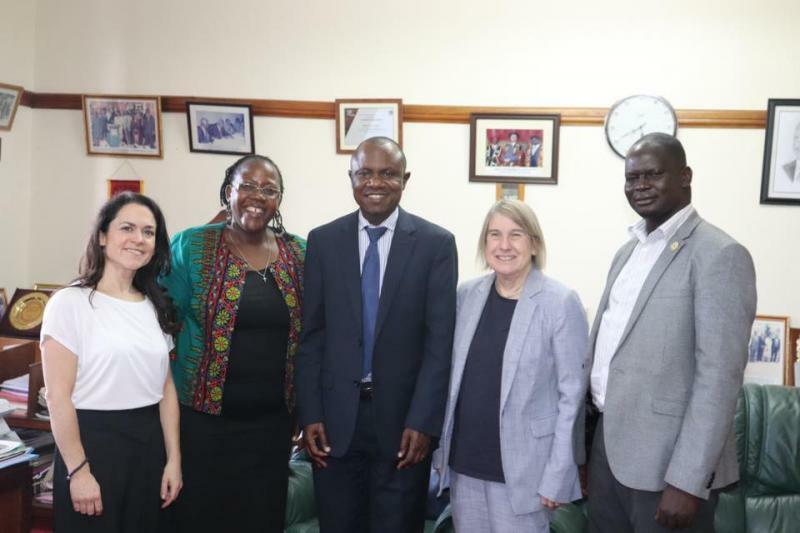 MAKERERE – The London School of Economics and Political Science has been awarded funding to establish a Gender, Justice and Security Hub, with Makerere University as one of the Lead Research Partner Institutions. The Acting Principal of the College of Humanities and Social Sciences, Dr. Josephine Ahikire is Co-Director on the programme and will serve as a member of the Executive Group that will oversee the Hub’s research agenda, strategy impact, and engagement plans. The Hub is a five-year project funded by the UK Research and Innovation Global Challenges Research Fund and will commence work on 13th February 2019. It is a unique coalition of major UK and DAC-list country research institutions, working extensively with local and global civil society, practitioners, governments and international organizations to advance gender, justice, and inclusive peace. 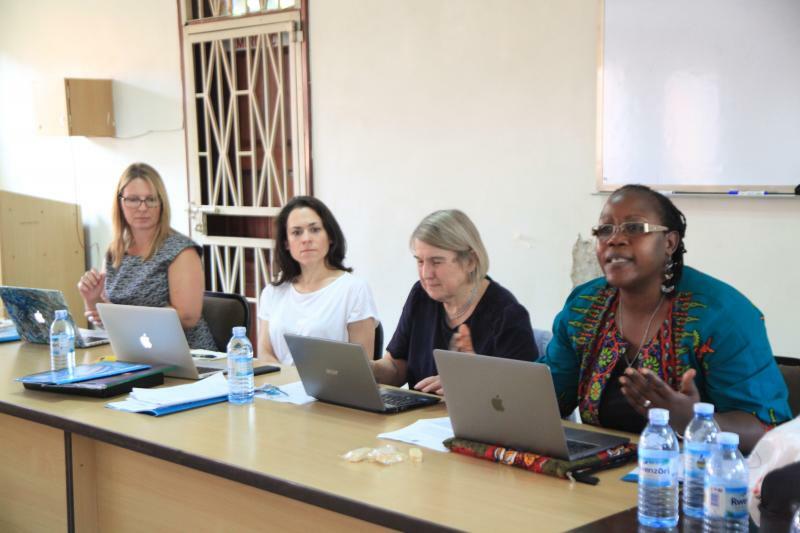 It is led by Prof. Christine Chinkin from the Centre for Women, Peace, and Security at London School of Economics and Political Science, working with partners around the world and focusing on eight core sites: Afghanistan, Colombia, Iraq, Lebanon, Myanmar, Sierra Leone, Sri Lanka, and Uganda. The Hub will deliver innovative interdisciplinary research on an impact towards achieving gender, justice and inclusive security in conflict-affected societies. In doing so, the Hub will address the overlap of the three major policy fields: Sustainable Development Goals (SDG5) on gender equality, SDG16 on peace, justice, and strong institutions and the implementation of United Nations (UN) Security Council Women, Peace and Security (WPS) agenda. Each of these tackles a major barrier to human development and security. The Hub is composed of four thematic projects namely: Transformation and Empowerment; Livelihood, Land, and Rights; Migration and Displacement; as well as Masculinities and Sexualities. These address research questions central to the challenges and are supported by two further cross-cutting projects that investigate policy and methodology as they apply to gender justice and inclusive security. Dr.
Ahikire is the Co-Director of the Livelihood, Land and Rights project. By bringing UK and developing country researchers from multiple disciplinary and methodological perspectives together in an ambitious collaborative research programme, the Hub will interrogate the intersections of some of the most pressing contemporary injustices and insecurities, launching new research agendas that will inform, assess and improve strategies to deliver meaningful development impact. The Hub research will pioneer new research agendas on gender and socio-economic rights in post-conflict contexts; gender-responsive peace-building; material culture and peacemaking; land reform and transitional justice; gender and post-conflict reintegration; transitional masculinities; sexuality in conflict and post-conflict settings; the funding of transitional justice and the WPS agenda; and the interface of human rights obligations with Security Council resolutions.